In recent years, avian-origin H10 influenza viruses have proved capable of infecting human beings, and they pose a potential public health threat. Seven H10 avian influenza viruses (AIVs), H10N3 (n = 2), H10N7 (n = 1), and H10N8 (n = 4), were isolated from chickens in Zhejiang Province, Eastern China, during surveillance of AIVs in live poultry markets in 2016 and 2017. Phylogenetic analysis indicated that Zhejiang H10 strains received gene segments from H10, H3, and H7 viruses from birds in East Asia. Animal inoculation tests showed that these isolates have low pathogenicity in mice and can replicate in this species. Our findings suggest these H10 AIVs have the ability to adapt to chicken or other poultry, and highlight the need of long-term surveillance. 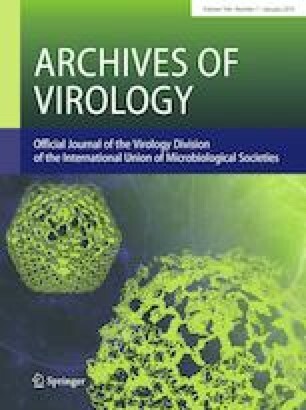 This study was funded by Grants from the National Science Foundation of the People’s Republic of China (81502852), Zhejiang Provincial Natural Science Foundation of China (Y19H260021), and the Independent Task of State Key Laboratory for Diagnosis and Treatment of Infectious Diseases (Nos. 2017ZZ10 and 2018ZZ06). The animal experiment was approved by the First Affiliated Hospital, School of Medicine, Zhejiang University (no. 2015-15).